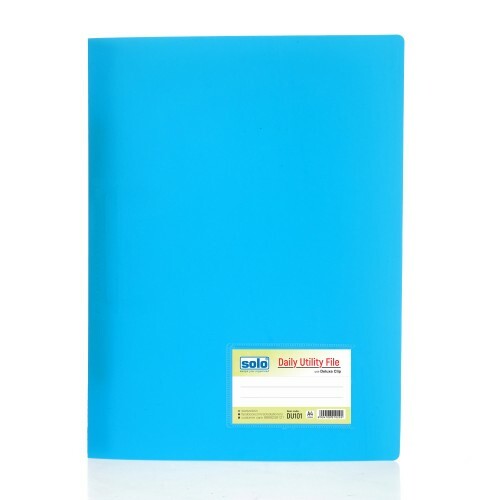 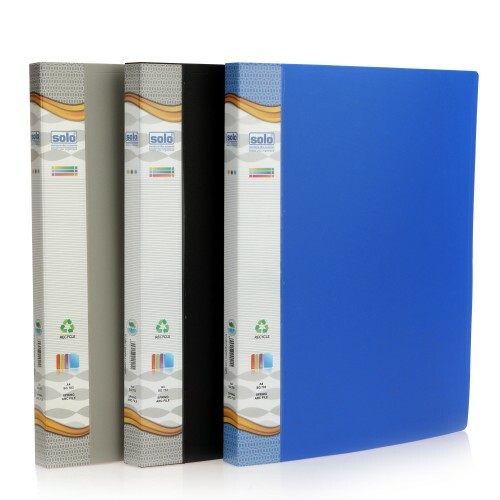 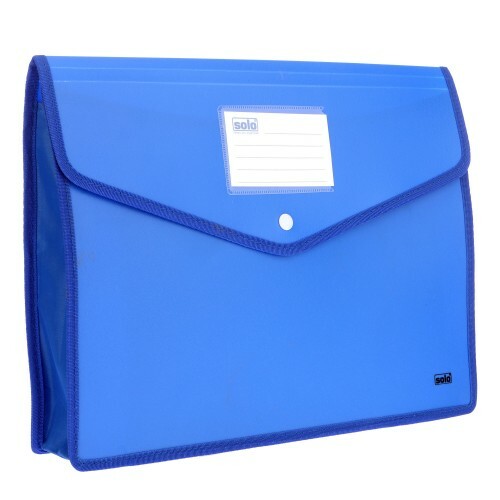 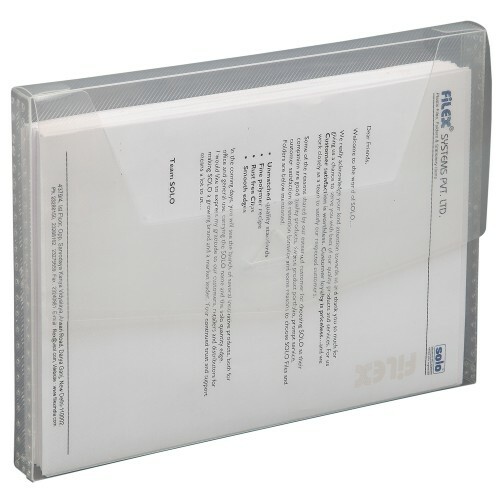 Full A4 size folder with index tabs. 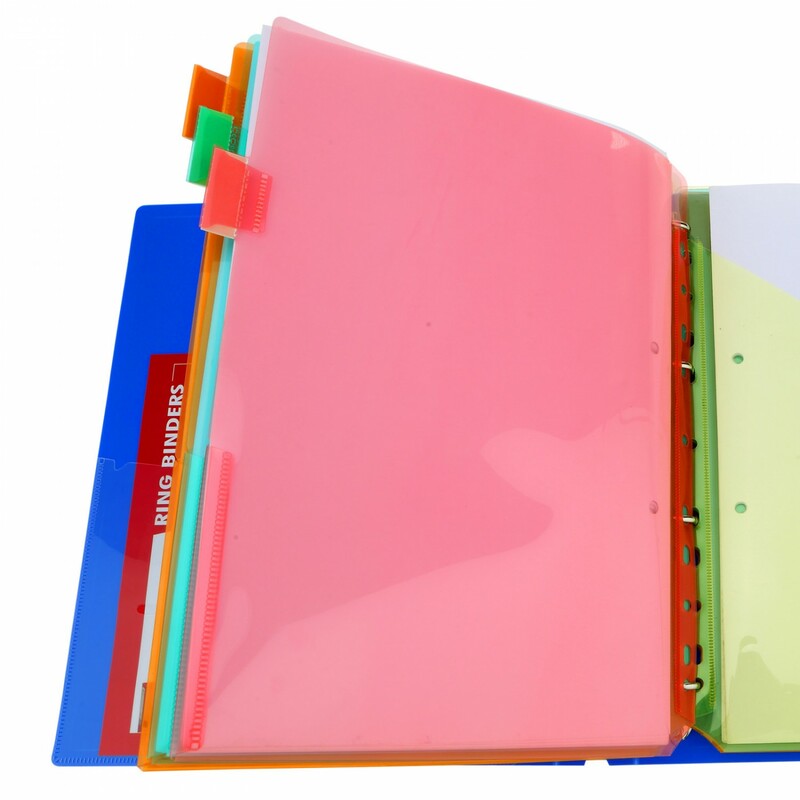 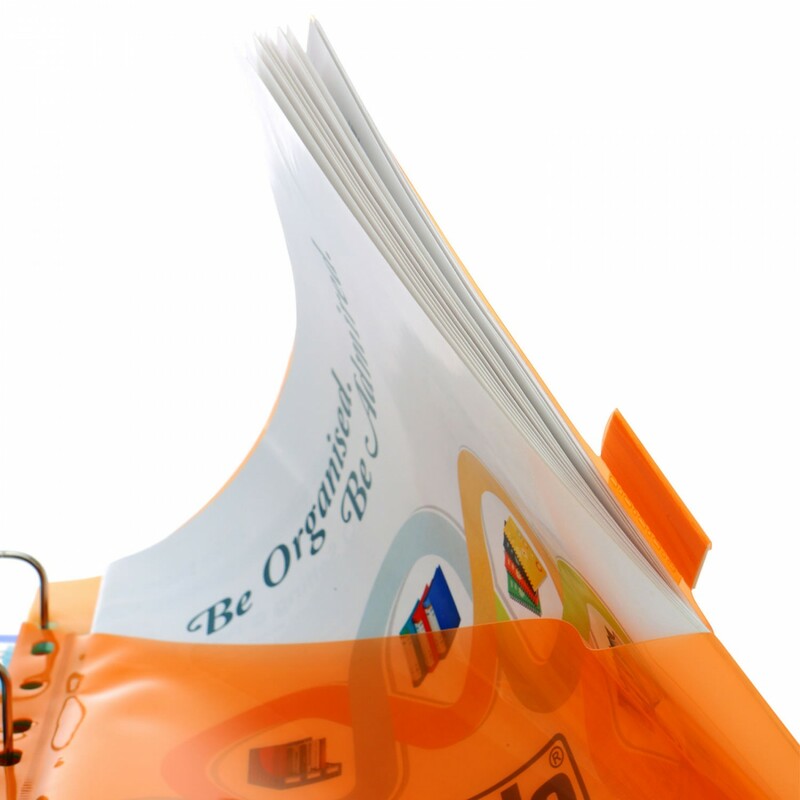 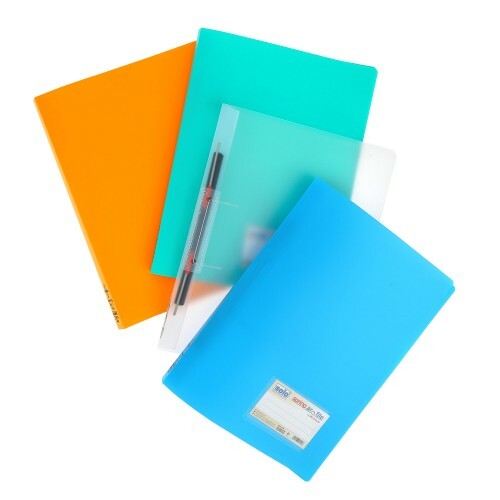 Convenient to sort & store documents subjects wise carry along with to meeting. 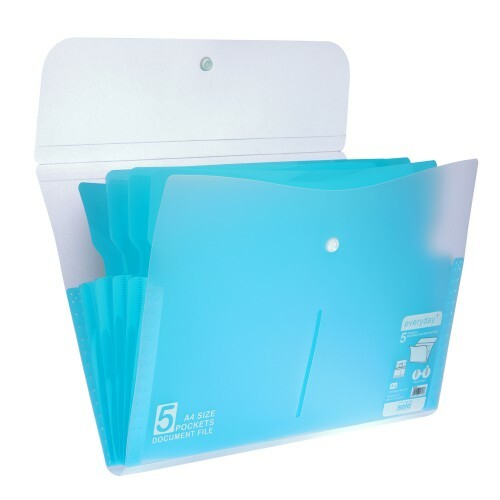 11-hole universal punch to file these dividers in any file. 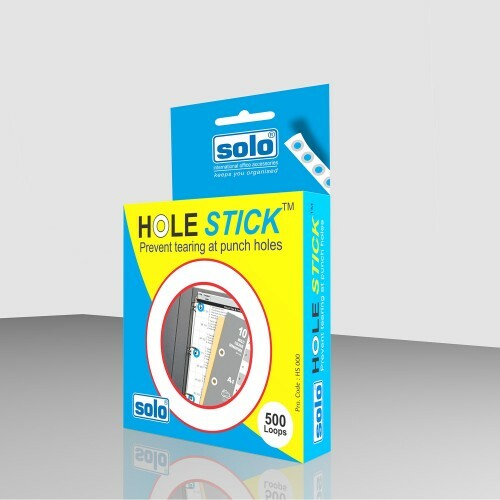 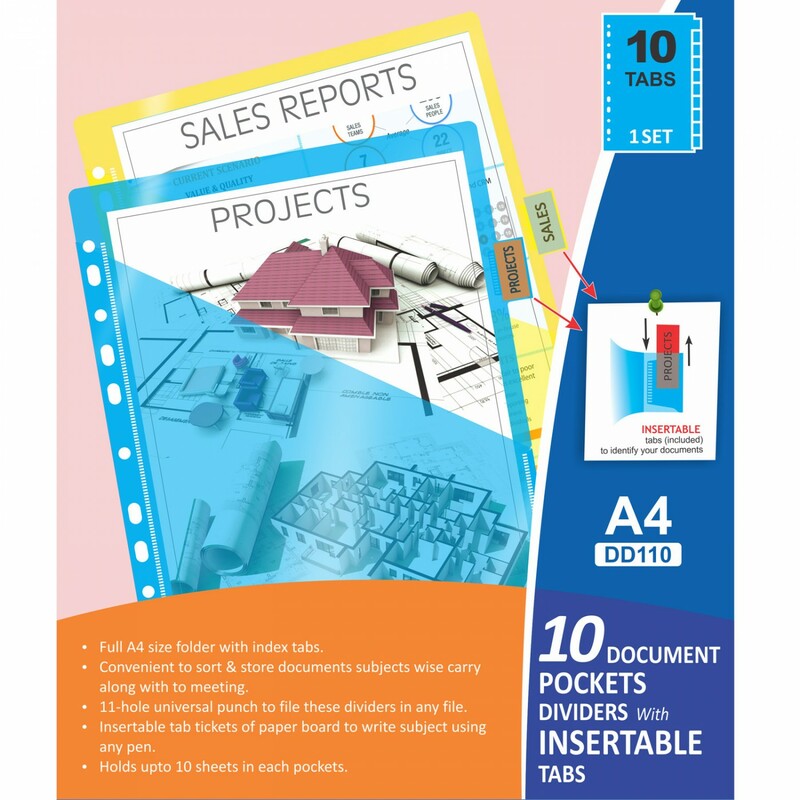 Insertable tab tickets of paper board to write subject using any pen. 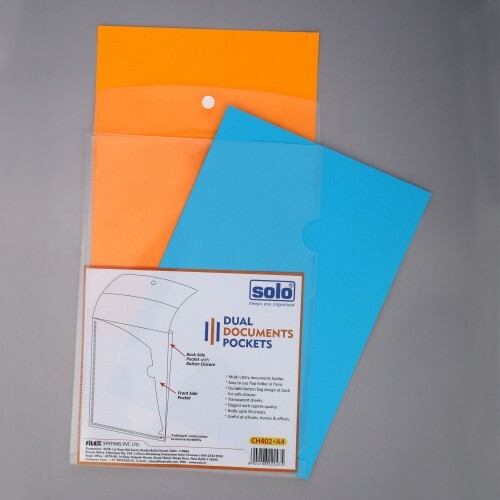 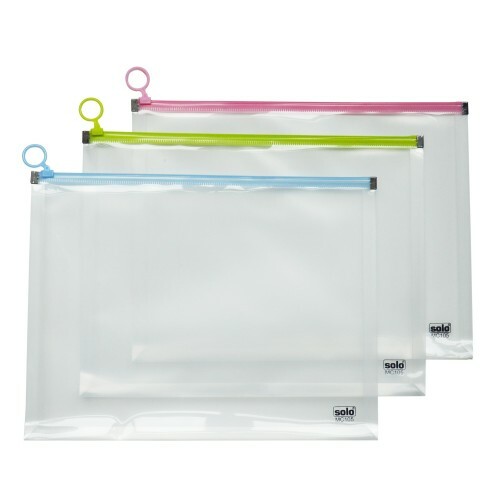 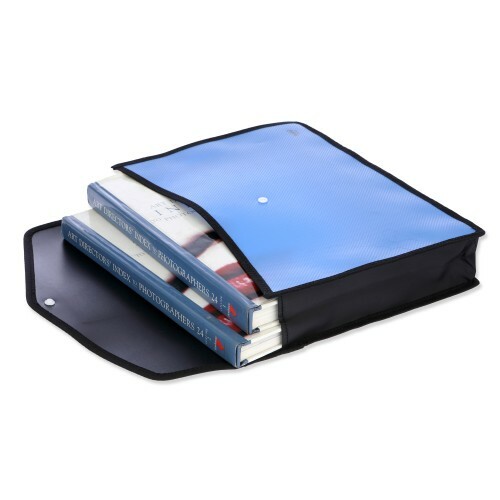 Holds upto 10 sheets in each pockets. 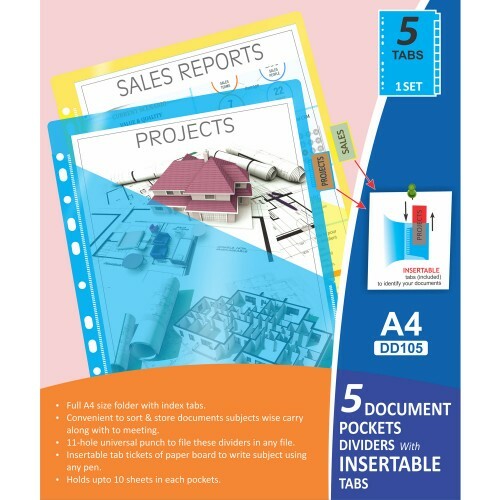 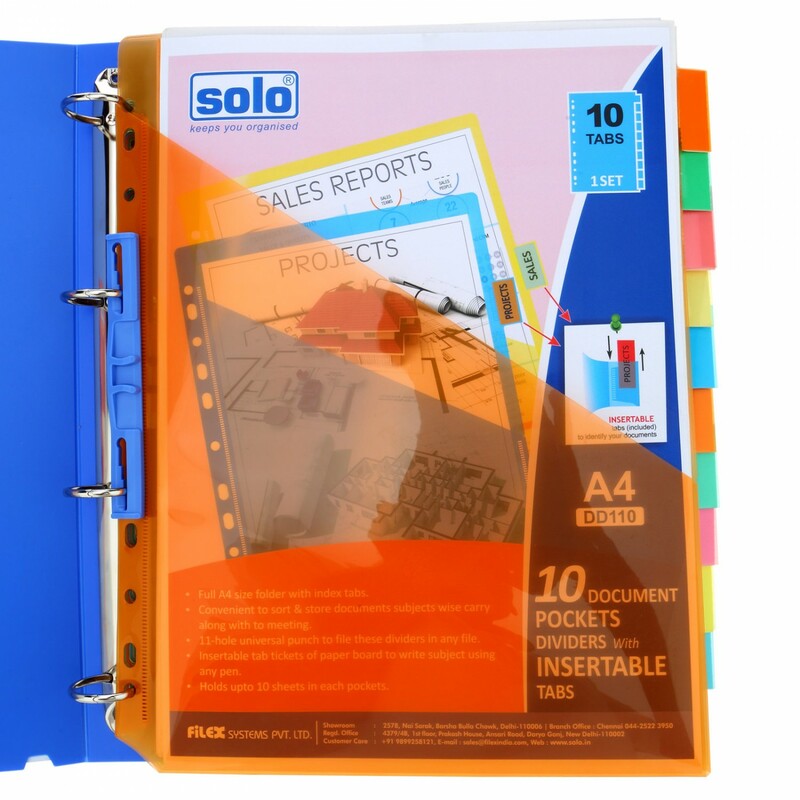 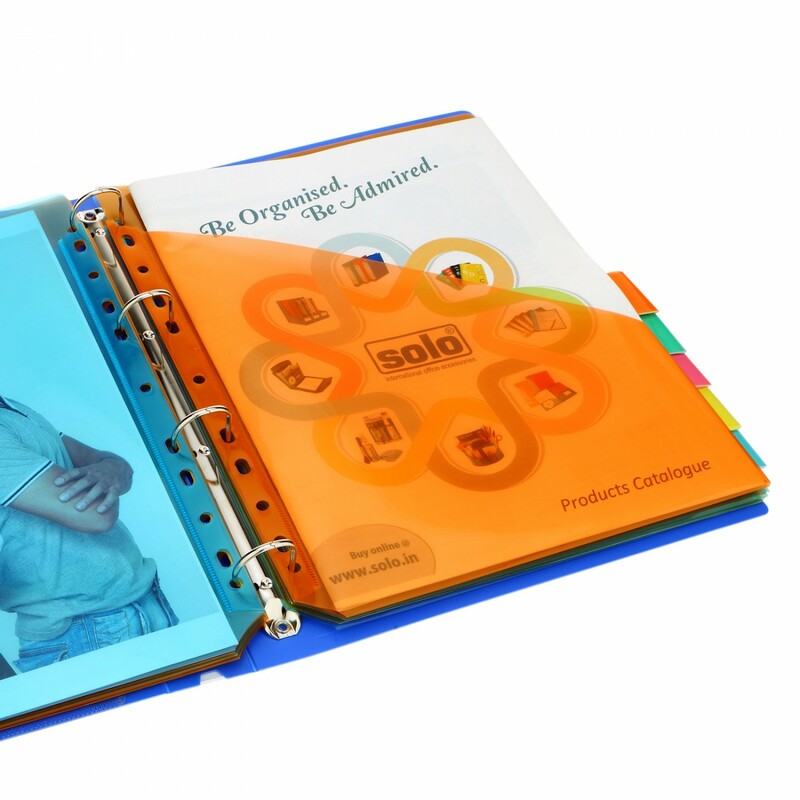 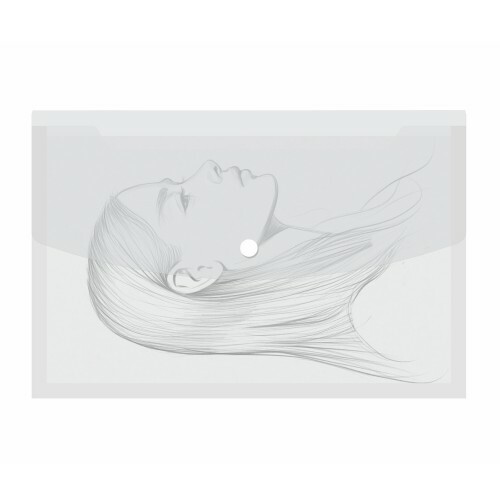 Type: SeparatorsNo of Pieces: Set of 5 dividersFull A4 size folder with index tabs.Convenient to sor..